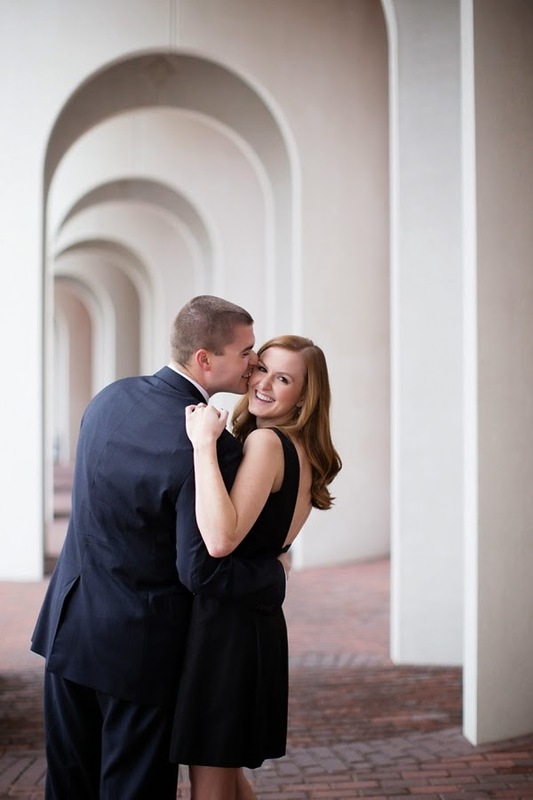 Courtney and Flave have the most important thing a couple in love should have-- a strong and vibrant friendship. 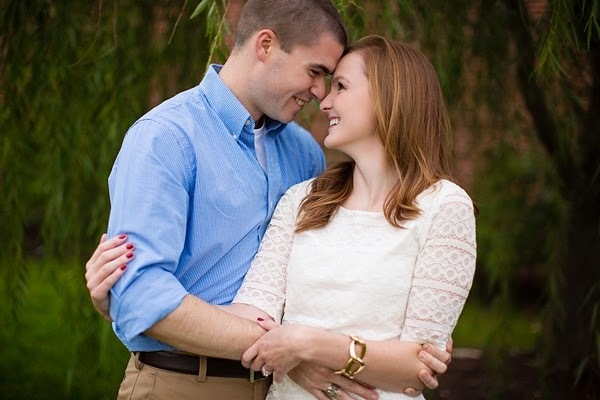 It's such a heart warmer when you just see how couples just adore each other through their portraits. 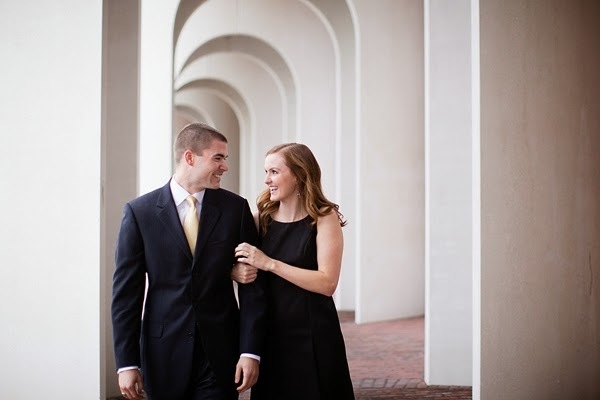 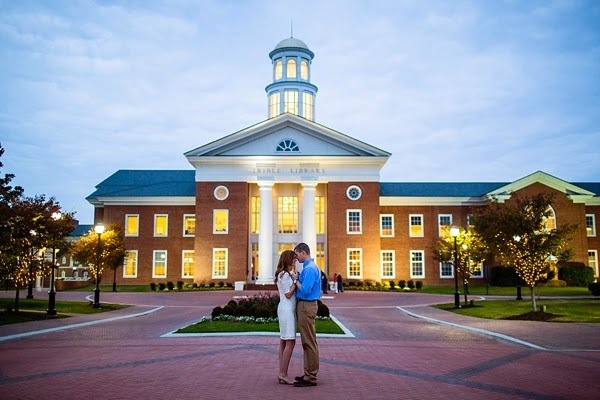 Tying the knot in June of this year, the lovebirds' excitement was evident from start to finish during their engagement session at Christopher Newport University by Lindsay of Lindsay Fauver Photography (who also happens to be an alum of CNU!). 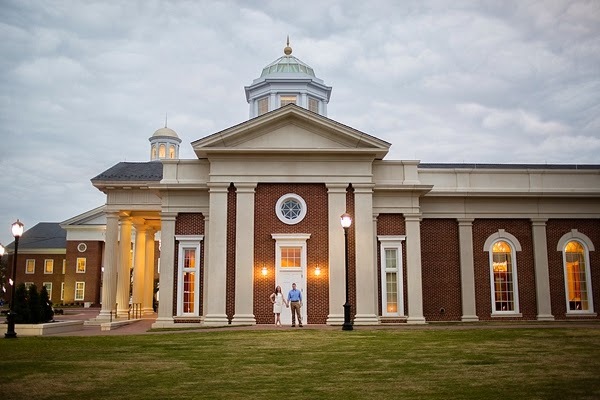 With sweeping green lots, classic architectural buildings, and sculpted outdoor hallways, it's kind of hard not to have a perfect session when you're on the campus of such a beautiful college!